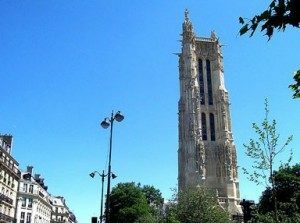 Closed to the public for most part of its 500-year history, the Saint James tower in Paris (Tour Saint Jacques) is the historic meeting point for pilgrims starting their Camino de Santiago journey from the French capital. 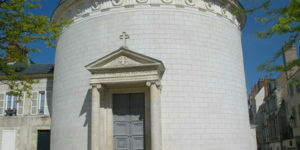 This site used to be home to a 16th century church that was destroyed in the French Revolution. Al that remains now is the beautiful tower. 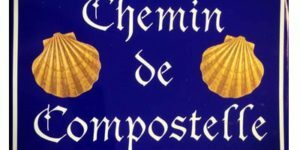 If you are starting your Camino de Santiago from Paris soon, you may be starting from this point. A highly decorative tower it is a wonderful site to see at the beginning of your Camino journey. The 54-metre 16th century Tour Saint-Jacques with its spectacular Gothic style topped with a statue of St James on top is all that’s left of the Eglise Saint-Jacques-de-la-Boucherie (Saint James of the butchery), built to honour Saint James in the 18th century and unfortunately later destroyed. The tower underwent major restoration work from 2000 and 2009, and this year a local association has been granted permission to open the tower to visitors during the Summer months (Friday to Sunday). 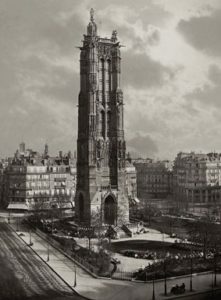 A statue of Saint James dominates the tower, also decorated with sculpted symbols of the four evangelists (the lion, bull, eagle and man), gargoyles and 18 statues of saints. 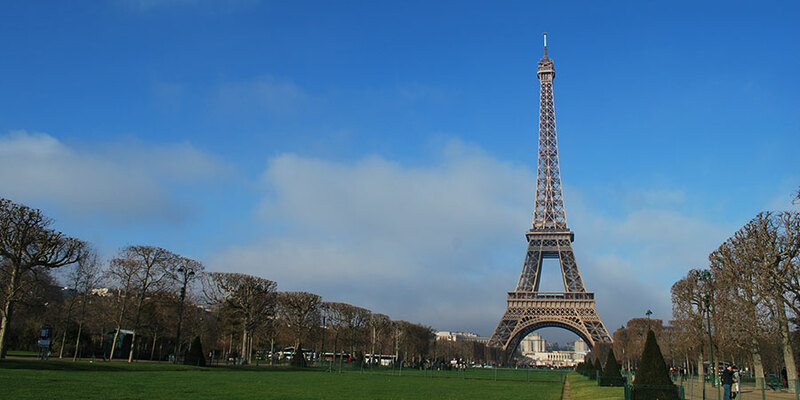 The Saint James tower is located in a little garden with the same name on the 4th arrondissement in Paris, France, on Rue de Rivoli at Rue Nicolas Flamel, and from the top you can enjoy stunning panoramic views of the city. Saint-Jacques-de-la-Boucherie and the Tour Saint Jacques were the departing point of the Via Toronensis (Paris and Tours Way) of the Camino de Santiago and meeting point for many pilgrims heading to Santiago. 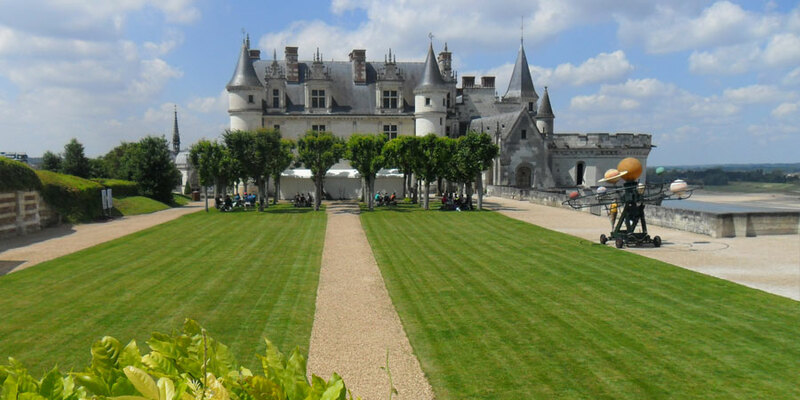 From Paris, they would head South towards Orléans, then Tours, the Bordeaux region and St Jean Pied de Port, at the foot of the Pyrenees, to continue on their journey joining pilgrims along the French Way. For more information about the Paris and Tours Camino or the other Camino routes please contact one of our Travel Specialists. What is the Paris and Tours Way?